Is Terraria too terrestrial for you? Does FTL not have enough tedious mining? Do you play Minecraft and just wish you could be a robot instead of Steve? Well Starbound can solve all your problems. 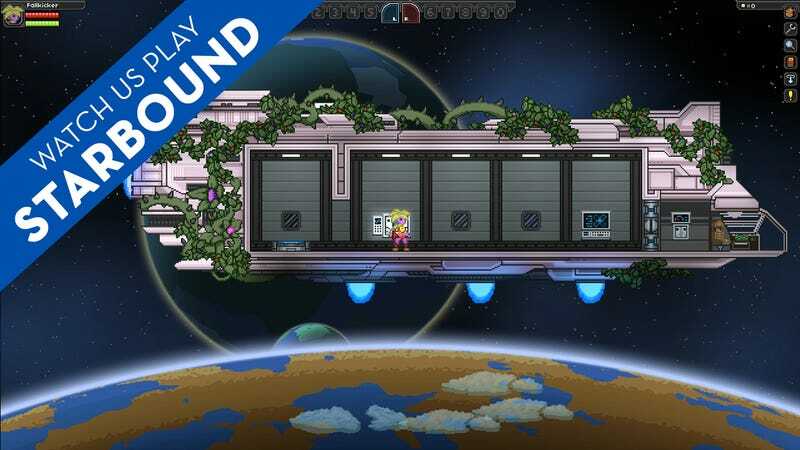 Starbound definitely looks familiar to Terraria players, but playing it is something different. With all the different mechanics, various races, space travel, etc., it's a completely different game. Starting out can be kind of slow. Three characters in and I've spent most of my playtime on each one desperately searching for iron ore. But the incredible depth of the game becomes apparent right away, even before you've found any dungeons or advanced technology. The game is in open beta right now through Steam Early Access, and it seems like it'll change a lot as things get worked out. For $15, it already seems like a good deal.